Book stays, track points, and get offers—all on the go. Join Wyndham Rewards to earn and redeem points for free nights at thousands of hotels, vacation club resorts, and vacation rentals worldwide. • Join the program for free, book our exclusive member rate, and register for promotions directly from the app. • Book a stay at any of our 9,000+ hotels across our 20 trusted brands and earn 10 points per dollar or 1,000 points—whichever is more—for every qualified stay. 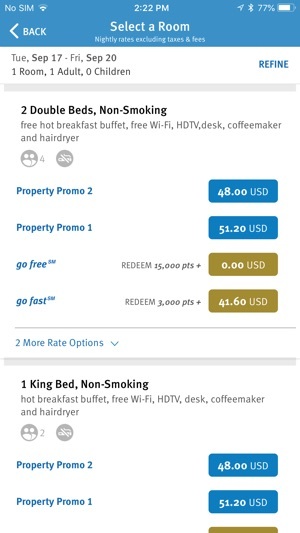 • Track your points and redeem them for free and discounted nights. Beginning on April 3, 2019, you can book a free night starting at just 7,500 points or a discounted night starting at just 1,500 points. • If you’re driving and need to be hands-free, let one of our reservation agents call you to book your stay. It’s like having a travel agent in your pocket. 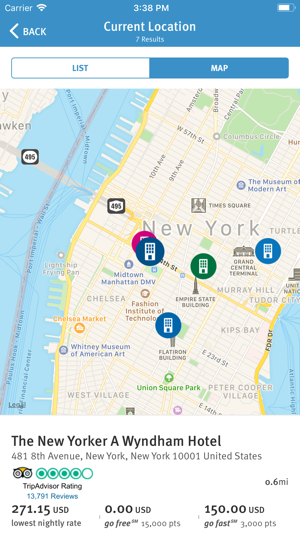 • You can also see your upcoming stays, view your digital member card, modify or cancel a reservation, and choose to receive text message reminders with your reservation details. 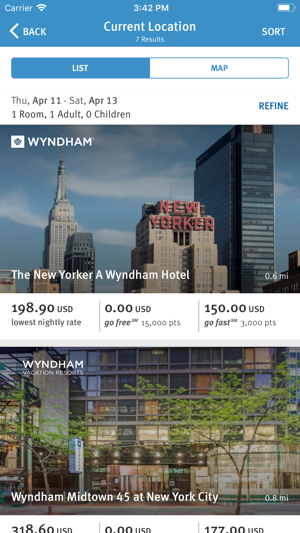 Wyndham Rewards is a one-of-a-kind hotel loyalty program that’s simple to understand and easy to use. Members earn a minimum of 1,000 points for every qualified stay and can redeem their points for free nights at thousands of hotels, vacation club resorts, and vacation rentals around the world. Wyndham Grand®, Dolce Hotels and Resorts® by Wyndham, Wyndham, TRYP® by Wyndham, Esplendor Hotels® by Wyndham, Dazzler Hotels® by Wyndham, Trademark Collection® by Wyndham, Wingate® by Wyndham, Wyndham Garden®, AmericInn® by Wyndham, La Quinta® by Wyndham, Hawthorn Suites® by Wyndham, Microtel® by Wyndham, Ramada® by Wyndham, Baymont® by Wyndham, Days Inn® by Wyndham, Super 8® by Wyndham, Howard Johnson® by Wyndham, Travelodge® by Wyndham, and select Caesars Entertainment properties. Several times I have used the app and the reservation has not gone through. We’re not receiving a confirmation email for Wyndham after booking and using the checkout application on the website. I end up paying more because the reservation did not go through and therefore end up losing the original price and having to spend 2 to 3 hours on the phone. I feel that that diamond member reservations, because I am in Diamond member, should be able to add points and make reservations when the rewards department is not open. It is very inconvenient for people. And it is very alarming when you think you have a place to stay and then you don’t. The last time that this happened I ended up spending three days on the phone finally getting the rewards department on the last day. The The excessive time is not necessary and Deems is not very good customer service because the website is not working. Please improve the website so that reservations are at leased confirmed and secured at the time of completing the reservation on the website. Thank you so much. 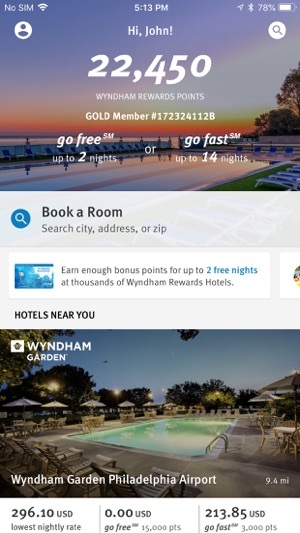 I’ve been a platinum rewards member for nearly five years, and have used the Wyndham Rewards app exclusively all that time to schedule my stays when I’m on the road. It worked like a charm... until the last few months. During my last couple of trips, I noticed I was unable to book stays in the app — OR WORSE, a stay would appear to book, but when I got to town that evening, the location would have no record of it. This has happened across multiple Wyndham brands/properties, in multiple states on at least seven different nights for over three months now — so it’s not an isolated geographic issue (or “maintenance” as the error I sometimes get would suggest). It’s pretty maddening — especially when I’m on the road and have to walk into a location at 10 or 11 PM, hoping they still have a room. 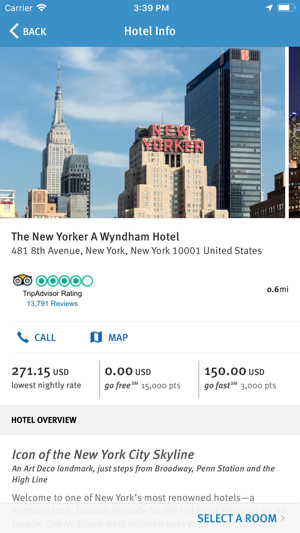 Wyndham suggests I could call to make reservations when I reach out for support, but then what’s the point of this app? I only travel 25-30 nights a year, but if the app continues to not allow reservations to be made, soon it will singlehandedly cause me (an otherwise satisfied customer) to take my travel business elsewhere. I am a member of every major hotel rewards program as I travel probably 100 nights a year for work. This is the only app that won't allow you to track future reservations in the mobile app. Some seem to show up while others don't. I've called the Days Inn Penn State three times now go give my rewards ninety for the reservation. Each time I accuse them of not entering it because it's not showing up in the app. This last time I had them read my rewards number to me from the reservation. Yep, they have it. But for some reason this stay won't show up in the app. I have a stay reserved at a microtel at mansfield Univ in May and it is showing up, however. I emailed customer service. They claim they will respond within 48 hrs. That was a week ago. No response. I called customer service. On hold to Chinese restaurant music for over 20 minutes. This app and this brand apparently could care less about the customer experience. I do my best to avoid their properties as a result. If they don't care enough to fix their app and customer service issues, I don't care to spend my or my company's money at their hotels.